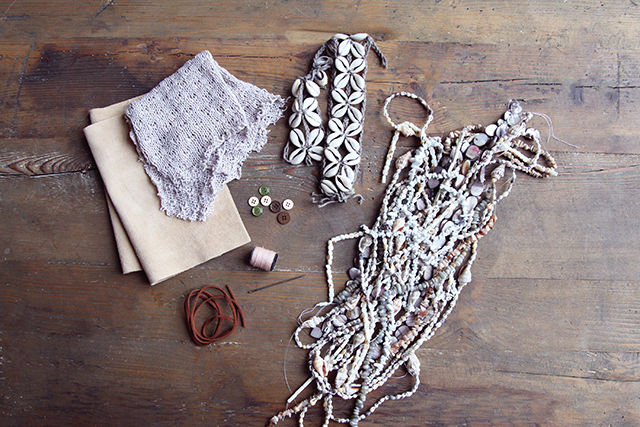 We’re bringing you not one, but two, DIYs today thanks to our friends at Free People. 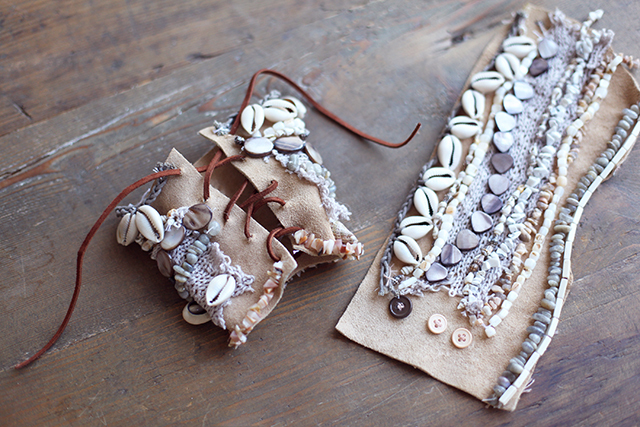 In today’s guest post, they will be demonstrating how to make these beachy ankle cuffs with cowrie shells and beads! The weather is starting to show signs of cooling down where we are in Philly, but we wanted to prolong the sweet days of summer with one last beachy DIY. We were incredibly inspired by the embellished ankle cuffs seen here by Gold Oron, and wanted to make some of our own. These beachy cuffs are a fun way to add a “washed ashore” feeling to your everyday ankle skinny denim, and can even be worn alone as you walk along the beach barefoot during these final days of summer. 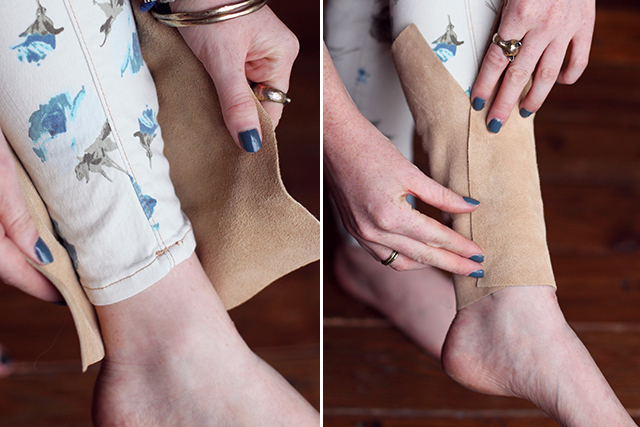 First, take the suede (or other sturdy fabric) and wrap it around your ankle wherever you’d like to wear the finished cuffs. If you plan on wearing these over jeans, do this with your jeans already on – this will ensure that you have enough fabric for the cuff. 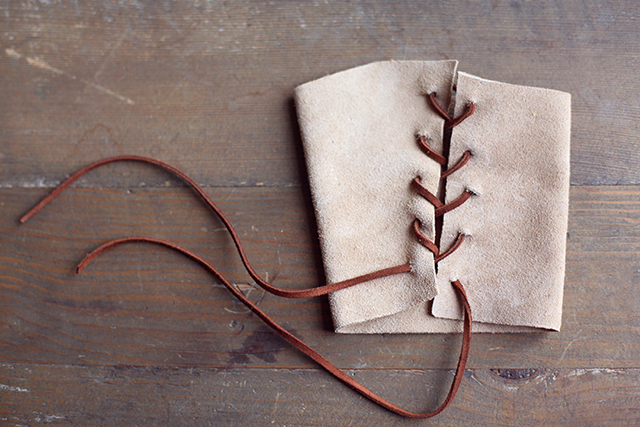 You can either use a laced or buttoned closure – we made one of each! 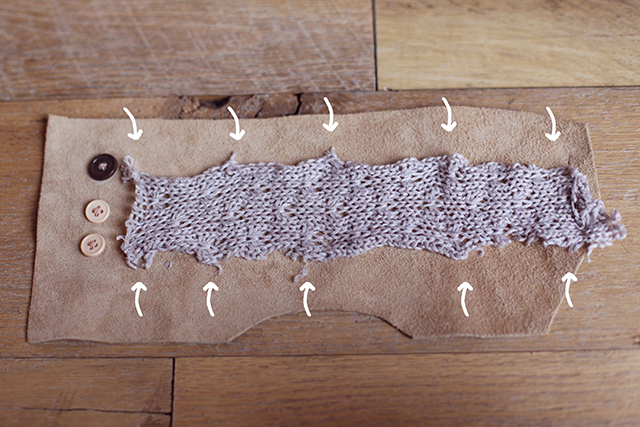 For a laced closure, find a spot where the ends of the fabric meet, draw a line, and cut along this line. 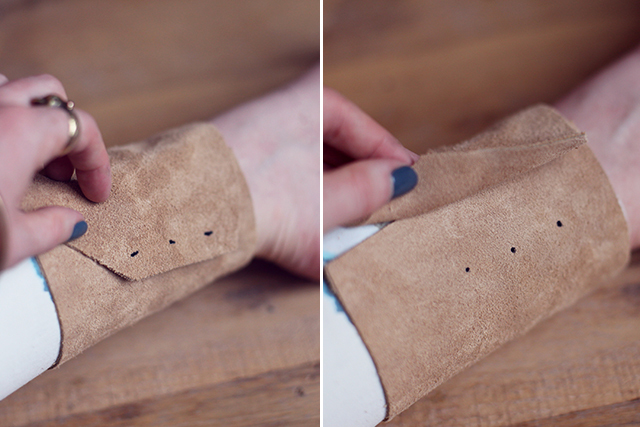 You should also decide how wide you would like your cuffs to be, and trim accordingly. 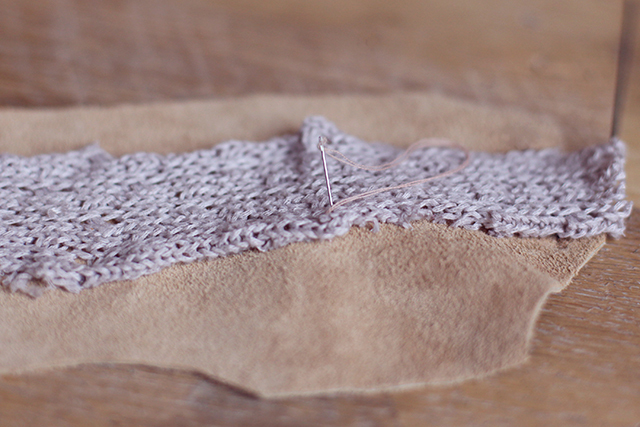 Using a needle, make 5 holes near the edge of either end of the fabric. 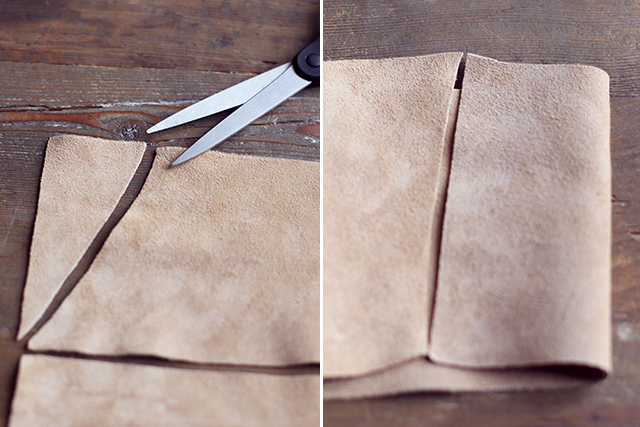 If your suede cord (or other string) will not fit through these holes, use the end of the scissors to make them larger. At this point, you can lace up the cuff to see what it will look like, but take the laces our before continuing, as it’s much easier to work on this project if the fabric can lay flat. For a buttoned closure, use the same technique as mentioned above, but leave an extra inch as an overlap. Mark the spots where you’d like your buttons and holes to be. 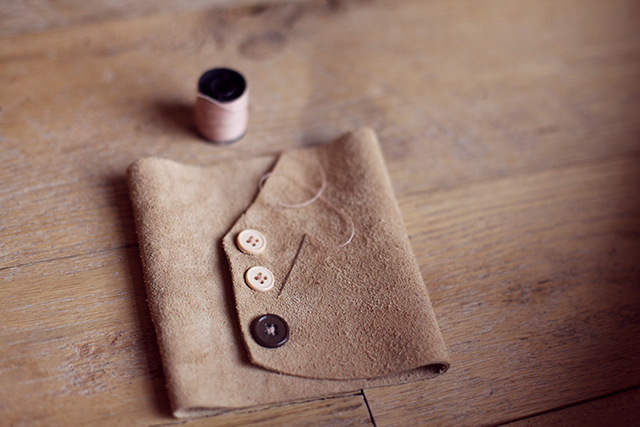 Create the holes using a needle and scissors, and sew the buttons on using a needle and thread. Using a rounded object, trace an arch at the bottom of each of the two fabric pieces. Cut this part out and discard. 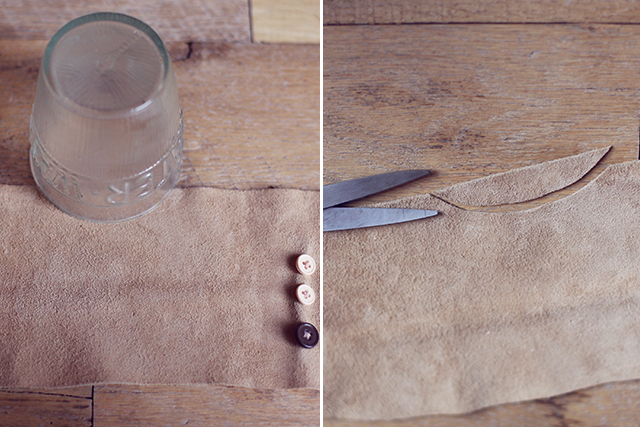 Position the fabric scrap where you like, and use a needle and thread to sew it on the cuff. Evenly sew down the sides of the scrap, so that the fabric is secure on the cuff. Now it’s time to embellish! Our beads came pre-strung, but you can string your own beads for this project as well. Use a needle and thread to attach each strand of beads to the cuff, securing in multiple places, just as done with the fabric scraps. 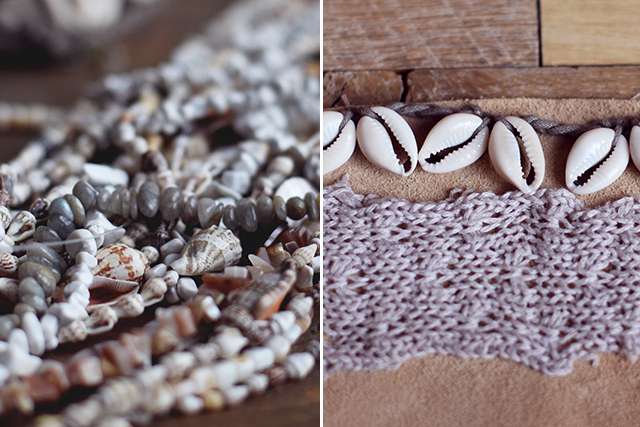 Add as many shells and beads as your heart desires! we also added a couple of loose shells just on their own. Once you’ve finished embellishing, lace or button your cuffs onto your ankles and dance the summer away! That is so cool and summery. These are phenomenal!!! Totally making some for summer 2014! I looove Free People, and Honestly WTF, so this is beyond perfect! Bridgette is so talented! Perfection! I love them! They’re cute! This is AMAZING!! So unique and gorgeous! Loving this collaboration! The link you have posted is to our beautiful Swedish customer Honeypieliving, she is wearing our Gold Ordon ankle cuffs. Our Tied Down Wilderness ankle cuffs are intricately beaded and individually ordered as they are truly special pieces. Wow cool ankle cuffs!! !<3<3 looove them!! Didn’t realise this was a cuff! 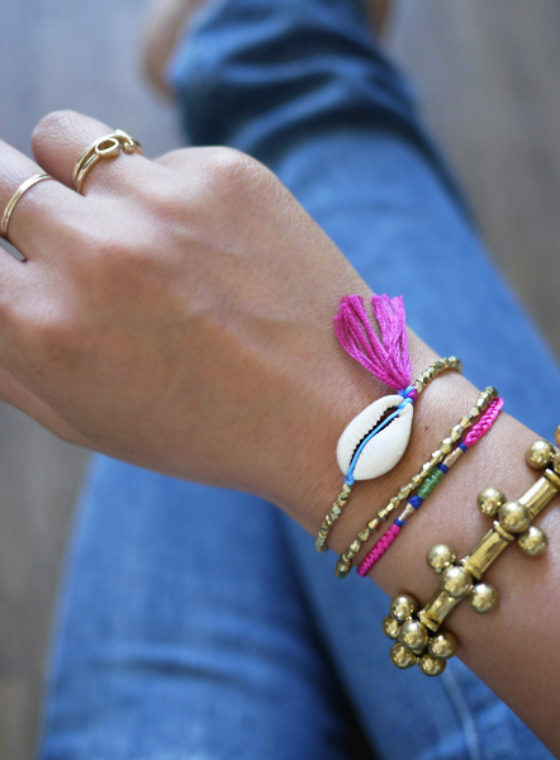 Thought they were stacked anklets lol, another great tutorial! 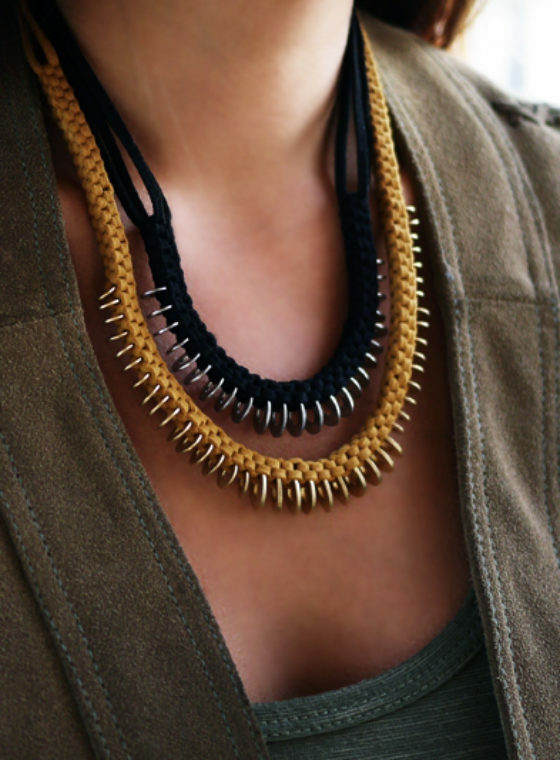 I love this – and am going to attach it/combine it with a barefoot sandal. Awesome site! perfect for Maui beach days!!! !Love the easy breezy feel of the natural organic colors…goes with all my lace and crochet boho collection! !